We try to keep things all rainbows and sunshine here at Brandflakes by bringing you all the awesome from the interwebs. But sometimes, when a brand really pulls an idiot move, we just can't help ourselves. 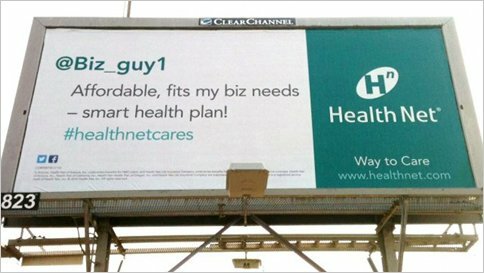 Enter HealthNet, who created a billboard with a tweet from a random Twitter user about how awesome they are... except the Twitter user wasn't real, nor was the tweet. Oh, someday we'll all get this social media thing. Someday.